Rewilding Europe is looking for a new, passionate, dedicated and experienced colleague to fulfill the position of Regional Manager (maximum 1.0 fte). Wildlife watching in The Central Apennines rewilding area, Italy, in and around the Abruzzo, Lazio e Molise National Park. He/she will be responsible for the coordination of the set up and management of 4-5 rewilding areas in Europe on behalf of the Central Team. 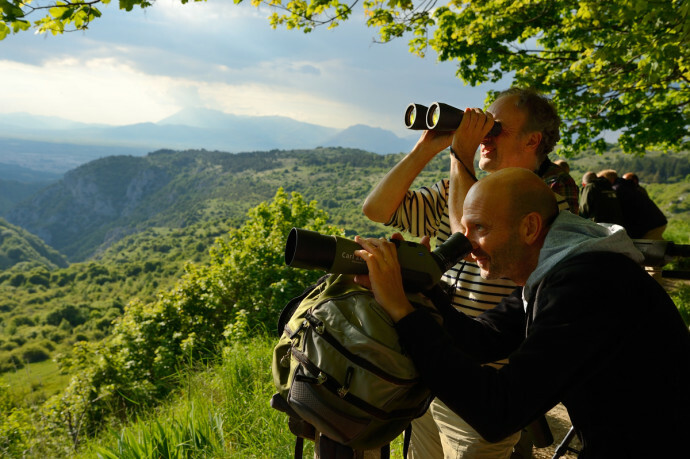 Rewilding Europe works to make Europe a wilder place, with much more space for wildlife, wilderness and natural processes; bringing back the variety of life for us all to enjoy, and exploring new ways for people to earn a fair living from the wild. Rewilding Europe has a team of people working from different European countries and currently works with eight rewilding areas in different locations in Europe (see www.rewildingeurope.com). The coordination of the rewilding areas is done by Regional Managers; the position of a second Regional Manager will become available as of June 2015. To coordinate and oversee the development and project cycle management of four, ultimately five rewilding areas in Northwest and Central Europe. To coordinate and oversee the rewilding components of these rewilding areas, including the participation in the European Wildlife Bank, the European Rewilding Network and other centrally led rewilding initiatives. Starting date: Preferably 1 June 2015. Our staff members work flexibly from where they are located. Applications should be submitted before 1 May 2015 to info@rewildingeurope.com. Applicants should submit a motivation letter and a full CV. For further information please send an email to the above email address and we will contact you.